﻿ Badminton scoring system in for another makeover? 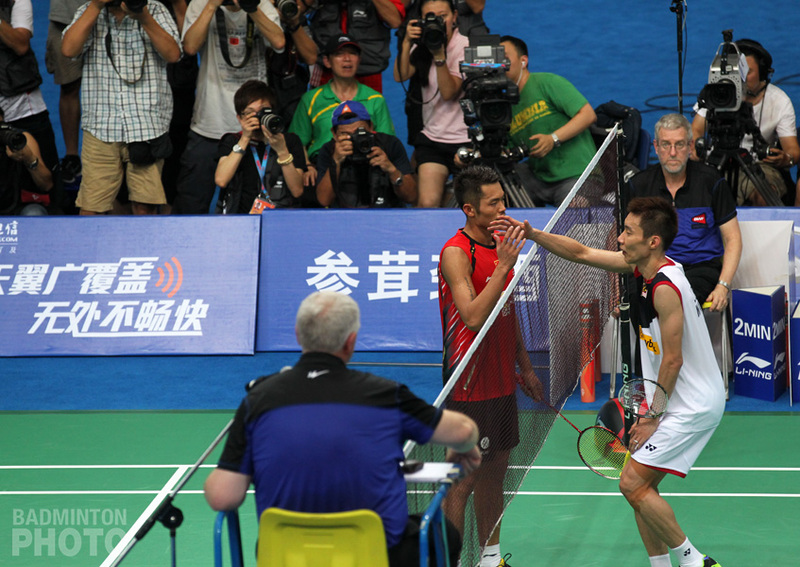 Badminton scoring system in for another makeover? 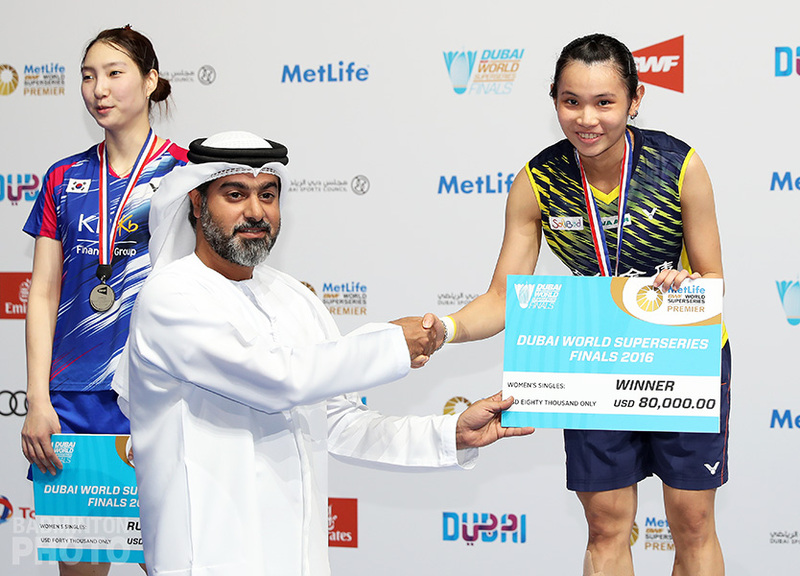 The Badminton World Federation (BWF) announced today that it is again considering changes to its scoring system and it has solicited feedback from the Athletes’ Commission. The current system, which had a trial run in December 2005 before being permanently adopted in March of 2006, involves three games to 21 points each, with a two-point winning margin required until a final deciding point that would break a 29-all tie. This system was the first in badminton that did not restrict point scoring to the serving player or pair but there had previously been other point systems that got their trial runs in BWF-sanctioned events and were not permanently adopted. 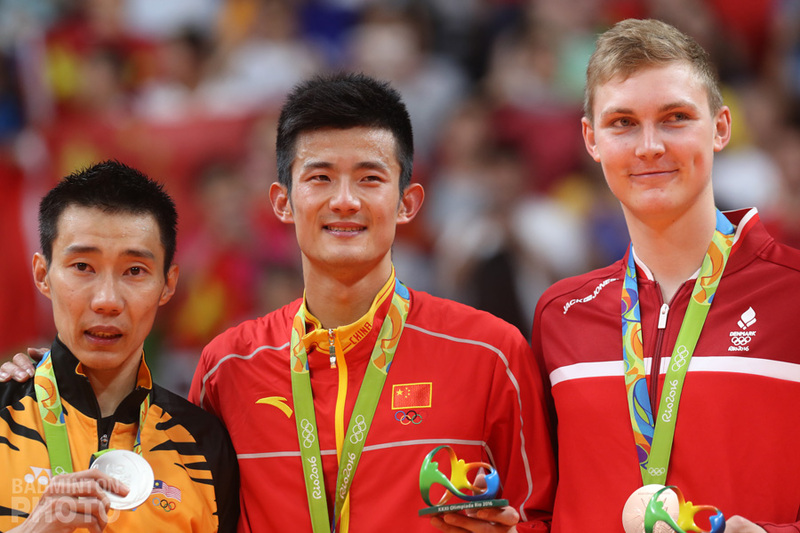 “Badminton is a great sport and, as with everything else, it’s continually evolving. There have been various developments re. 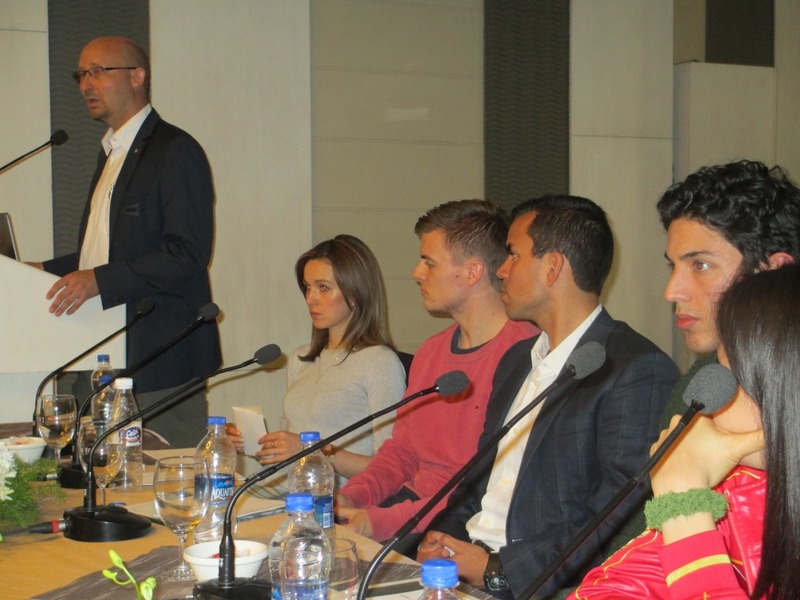 scoring which, as an international federation, we think the time is right to discuss with our members,” BWF Secretary General Thomas Lund was quoted in a BWF press release as saying. We would like your feedback on the three proposals for changing the scoring system, a move that has already spawned its detractors, with even a Facebook page founded today that opposes a system change. Please cast your vote in our Badzine poll and feel free to explain your choice, using the comment section below. What scoring system would be the best for badminton? I suggest a new scoring system. but 10points ahead wins the game. 7points ahead till 10 wins the game. This system makes exciting and hard hitters will be offensive in the first half. Interesting. That would get rid of the predictable second halves of second games in particular, where one player gives up and resolves to save it for the decider. For TV ads and $ purposes, we should give more breaks to the game. 7 and 14 = 2 breaks. 5, 10, 15 would be nice too. Scoring can be like 5 games of 15 can be considered. NEW DELHI, May 23 (Reuters) – Badminton does not need an alternative scoring system and tweaking the existing format would be “idiotic”, according to a number of the world’s top shuttlers…. – for the attraction, aspect of tv : even as a badminton player, it bores me to watch rallies that end after 3 shots and games that are won just from the service situation. Longer exchanges, fast, dynamic, that is what makes the game exciting to watch. – problems for live diffusion schedule : in any sport, you have to choose which match to display live, it’s perfectly normal. A football match last 90minutes, tennis matches can last 2 days. Badminton is far from the “worst”. If there really is a problem with the planning, it should not be solved by changing the way the game is played. Players that are tired in the 3rd set ? That’s precisely where the mental part is gonna come in play. Players taking too long between points ? Something should be done with the umpiring not with the scoring. Five games of 11-points till 15 or two games of 21-points, 11-point deciding game,I recommend. But I want to change rules of how to serve or court size when serving. It is difficult to feel Badminton dinamic on TV especially serving. b. more challenges allowed (2 per game instead of the current 2 per match). And umpire should be more consistently more strict with delay between points. Get rid of the stupid drums, the horns, the band equipment, the screaming from the spectators and class up the damn tournaments instead… problem solved! I have been umpiring for over 30 years, and have experienced various experiments with the scoring system in that time. The first major attempt to change things resulted from the World Championship finals in Glasgow in 1997, when the MS final took just over 2 hours, and the MD took about 1hr 40 minutes. These were terrific matches, with lots of things happening, but they were the exception to the norm. On the old scoring system with only a server being able to win a point, some matches went back and forth for long periods with no points being scored. It could be almost impossible for tournament organisers to time events, because of the unpredictability in the length of the matches. Some one-sided ladies matches could be as short as 5 minutes! There were several experiments using the old scoring system but varying the format of matches with things like 5 games to 9, etc.. The system we have used since 2006 still allows for exciting matches. The timing of an event is much smoother, with matches on average taking 30-35 minutes. We still get long matches, but almost certainly those matches are close, hard-fought and exciting! Before 2006, because of the scoring system, there could be real problem in timing large tournaments. I don’t see any serious problems with the current system. It works – so why change it? In my opinion, Instead of changing of scoring system, BWF should think how to increase the number of participation of for Thomas cup, Uber Cup and Sudirman Cup Group one. 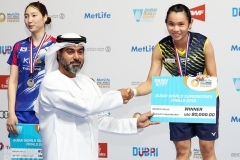 That will boost many sponsorship and makes badminton more popular. ● Predictability. In the third and fourth option, the number of games is already known, making the match more predictable. ● Interval. 5 games of 9 points has only advantages for media purpose. Plus, it reduces the mental and physical challenge of a badminton match, thus making it less competitiveand lower the standard in the top-level. ● Stability. This is the most important point. 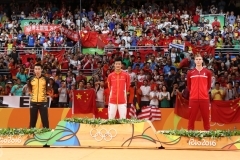 Badminton is gaining popularity worldwide and changing scoring system doesn’t have any merit at all. What exactly is wrong with the current system that it should be changed? What goals are planned to be achieved by making the changes? Sometimes instead of innovation, it is much more important to preserve. If this is aimed to ensure generations to come continue enjoying badminton at its best, then I hope that BWF can be assured that the current system is already decent and badminton audience around the world have nothing to complain about. I apologize if there is any confusion but all of the proposed systems involve a ‘best-of’ format. In the first three options, the winner is one who first wins two games (of a possible three) and in the fourth option, the winner of the match is the one who wins three games first (of a maximum possible five); hence, there should be no difference in predictability. No leave the current system in place. Players are getting used to the current system of scoring from the previous 15-point scoring system. Second, increase the number of challenges to 2 per game rather than measly 2 per match! BWF must not have enough to do or they want to make something to do to show they are important… but they should focus on some other aspects that will improve the game – e.g. the HawkEye technology for line calls or as someone else posted in the comments here – service faults. Leave the scoring point system alone – it’s good enough. BWF is asking us to vote on a new scoring system so we can find out what it is for. Oh god, not again. Badminton fans already gave in concession to the current 21 rally point system from the old 15 point system to be more media friendly. You are now asking us to choose again on something new without showing us what’s on the table. What is the (hidden) agenda here? Is it the media? Is it to lower badminton standard (stamina) so less athletic players from more countries could participate in tournament? Is it 21 points, 29 tie break score too high to count? Once again a discussion that destabalizes the sport. And its coming as so often from the World Federation itself. 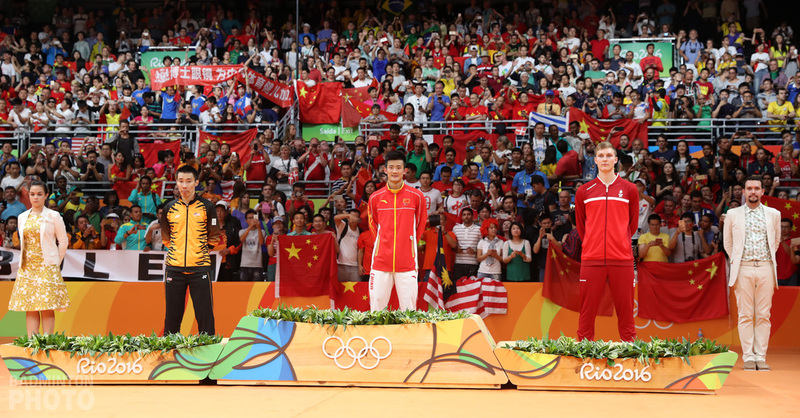 Does anyone realize that it has never been reported anywhere that badminton is in danger of being in the Olympics ?! This question only getd raised by the people who are supposed to promote the sport. Please take a chill pill all together and think again what you are just doing. Second discussion of changing something even though the popularity rises. Why do you think the popularity is raising. Yes no reason to change it. Things are going well so why try tp change a good system. There is just a huge tournament running and you discuss the system. Are you out of your mind ? Its like in Soccer during the world cup they would discuss a different scoring system for the future. Its the worst time ever to discuss such things. I can tell you, like five times a year I hopr that the badminton news that I see just is an Aprils fool. You really seem to have 1st of April quite often over there. In my opinion any of this offer isnt good. Once it was 5 sets 7 points and it wasnt good at all so 5 sets 9 points is the same. 3 sets till 15 will make game just shorter and less interesting and 2 sets 21 points but 3rd set 11 is totally unfair in mental meaning because if you start bad you will loose and no any chance to change. remember they introduced the current system because of long matches in the 15 pts scoring system. now they use back the same reason to amend the current 21pts scoring system. wht next BWF??? if they consider the system at 21 too long and an advantage for more trained players, would be good to have the same number of total points but on more sets, for example 5×13. when there are opponents with very different level, many times the weaker remains close until 11, so playing at 13 should give a more interesting match and technical skills more important than strenght. Stupid trying to fix something that isn’t broken. the average long badminton rubber 3 games usually take about 1 hour to 1 hour and half. If anyone thinks the games are too long they should look no further than tennis, where matches can last for 5 hours to two days. There is more time spent on ball bouncing, pacing back and forth, let serving then the actual game play. so badminton isn’t anywhere like tennis. The problem lies with its stupid inconsistency with service faults. You got players who are called for faults for high serves 99% of the time that having the serve is more of a disadvantage than a real advantage especially when you have an opponent breathing down your neck right across the other side. If players are more easily allowed to serve high the opponents receiving would think twice then to set up camp with their noses on the tape of the net. Also, will someone please get rid of the morons with the damn drums in the Malay and Indo tournaments, its badminton not football for christ sake. Also get rid of the idiots who love to yell out during a point. The game appears nothing but bush league when you have those distractions in the crowd. Just because you paid to get in the tournament doesn’t mean you should have the right to act like some loud monkey jumping up and down and screaming and pounding drums during the match. Badzine polls in hindsight: You’re voting, who’s listening?